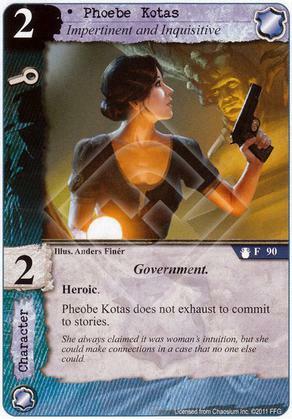 Flavor Text: She always claimed it was woman's intuition, but she could make connections in a case that no one else could. Can Phoebe commit to stories while exhausted? I might be reaching here, but does anybody know if this card was inspired by Phoebe Cates, the actress?